Need a way to manage pet waste at your dog park, apartment, condo, campground, or other destination frequented by dogs? Try the commercial waste station from the people who know poop and more importantly, how to get rid of it. Complete commercial dog waste disposal system for control and removal of pet waste. 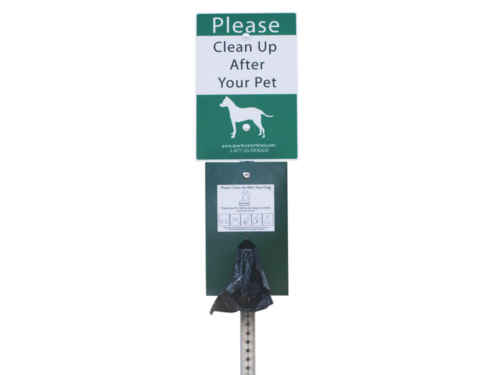 This pet waste station employs our roll bag dispenser, which holds a total of 4 rolls (800 bags) and dispenses up to 600 bags at once. 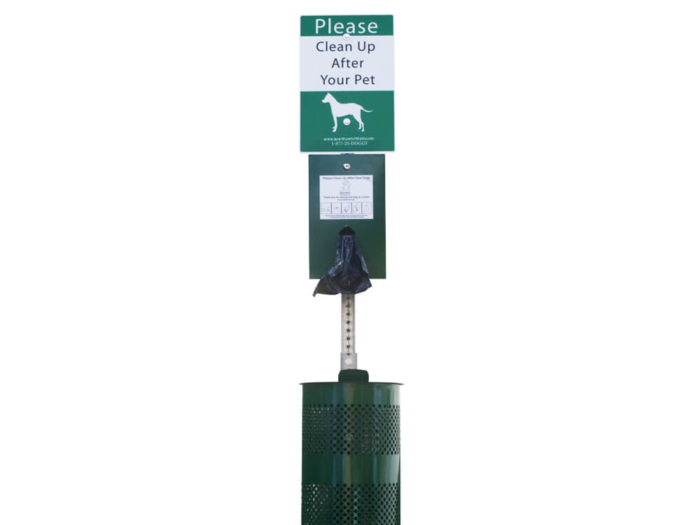 Our high quality pet waste stations are made from anti-corrosive, high strength Galvanneal which allow for significant longevity and ease of maintenance. Also included with this station is a 10 gallon animal waste receptacle (trash receptacle) with lid and trash bag retention clamps, a no fouling sign, keys to the locking dispenser, 8′ sign post, 400 oxo-biodegradable rolls bags, 50 oxo-biodegradable can liners and all necessary hardware for mounting. 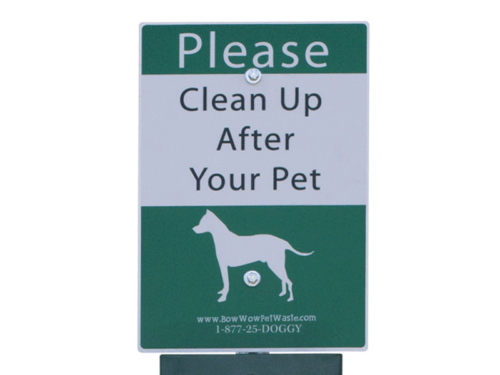 The perfect pet waste disposal and management system for dog parks, apartments, condos, HOA’s, campgrounds, marinas and any other areas dogs frequent. Built with heavy gauge materials, designed to be vandal and weather resistant.